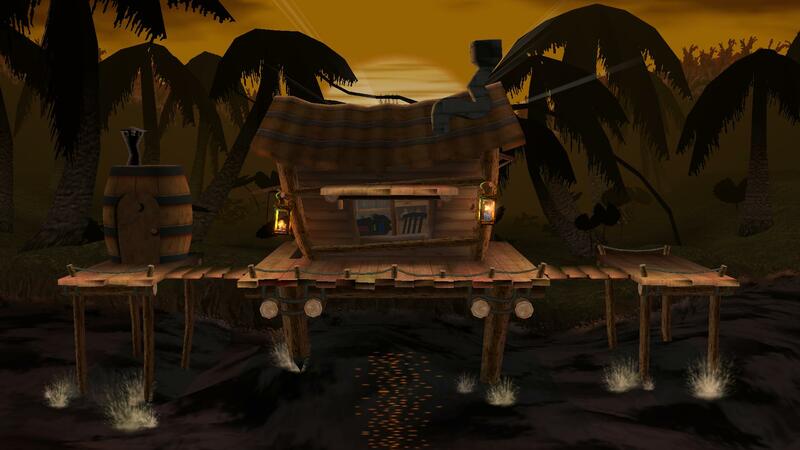 Kongo Island by Ubergruvin, MarioDox with credit to WorseDoughnut, Dranakar, davidvkimball, DukeItOut, MarioDox with credit to the PMDT for the stage upon which it's based, and the Smash 2 Team for the Kongo Jungle BG. At last, a fix for this stage! For those who don't play Legacy TE, this is a stage featured there. 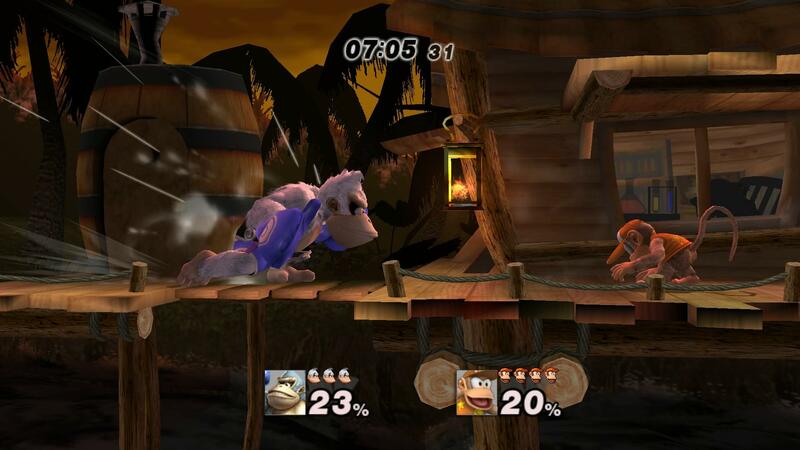 However, in the latest update, they'd added Smash 2's Kongo Jungle, and not updated the background for this, which used a slight tweak to the BG of Rumble Falls. Special thanks for MarioDox for walking me through fixing this up! This isn't the Smash Ultimate import. I re-created the splashboard model to have an omega and battlefield form. May have some lag with more than three imported models with certain number of polys or with three high poly models. Brawl models won't lag though. It's alright to play a 1-on-1 battle with some high poly models too. I also lowered some more textures a bit too. 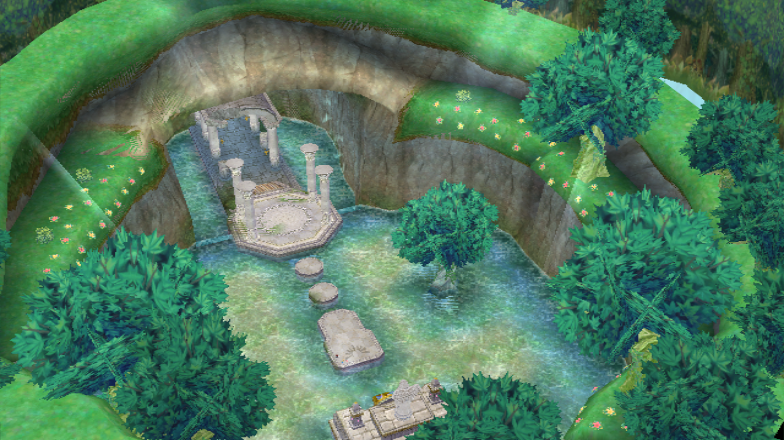 The detail of this stage will never be as good as the actual kongo falls stage in smash ultimate. Lowered some unnecessary textures with resolutions that doesn't need to be 512 to reduce a bit of lag. Fixed the sun glare a bit and some edits to the rock under the splash logs. This time, it isn't based off of the Smash Ultimate Kongo Falls, but it's pointed in that direction. I deleted the first version of this and it's mostly my HD version of the Melee Kongo Falls to be exact. It's got a lot of lights...Not necessarily a bad thing. 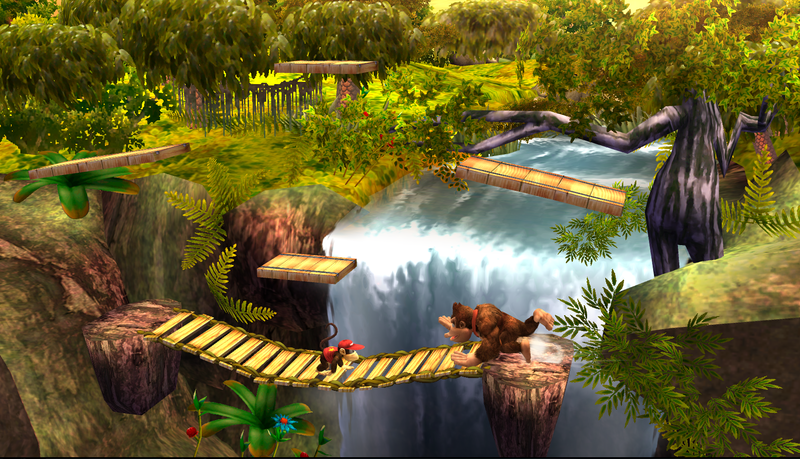 A simple edit of Smash 2's wonderful Kongo Falls/Jungle import with lighting as you would see from Brawl/PM, keeps the PM camera. Looks great now for vBrawl and vSmash3 style characters. What happened to the jungle? What happened to those poor leg logs? Background swap for Jungle Japes, with the removal of hazards. Calm and Easy. Oh noes! Something went bananas and now the jungle is full of moss! Let our hero- two- mighty heroes to save the day! Has PM Camera and Cosmetics. It even does Grass SFX! 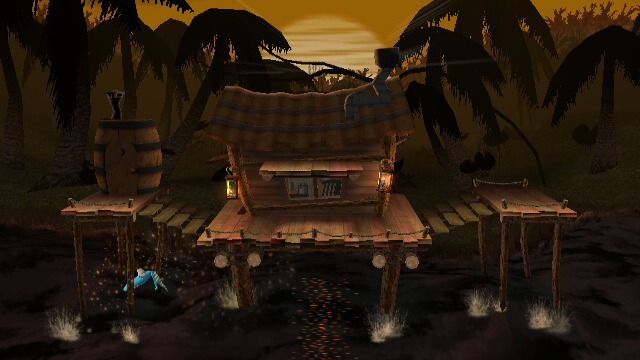 A DKC3 Map? Whaaaat!? While I would of rather done a mine cart level, the level wouldn't have been very serious business. 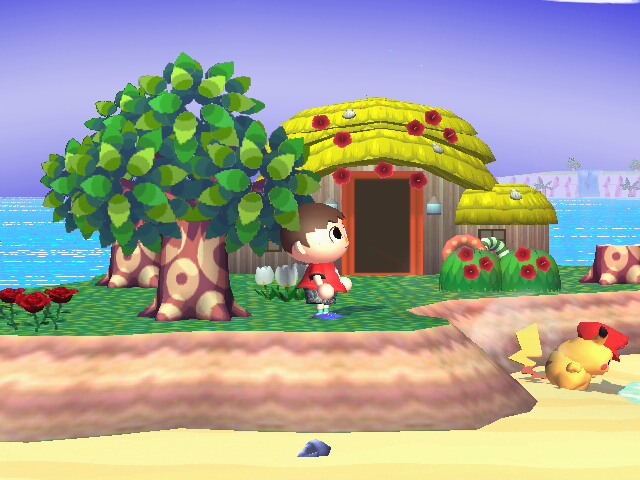 I dig the aesthetic of this, and the lil hut concealing players is a neat feature. FD base, includes 3 tracks and UI. 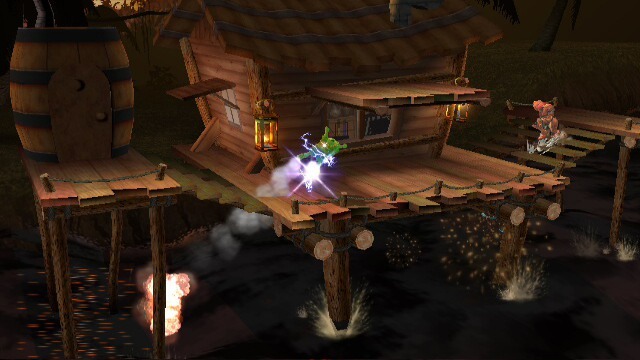 http://gamebanana.com/maps/download/199656 Alt version that has the hut similar Hyrule Castle 64. Mario Bros.: X Overhaul by KingJigglypuff, Xerom with credit to SMFan, PAVGN, and Mewtwo2000. This submission is the result of about a few days worth of work on some personal edits to Xerom's Mario Bros.: X stage. It's a combination of their original stage, PAVGN's SMB3 version, and some additional edits. -Stage ported over Jungle Japes. 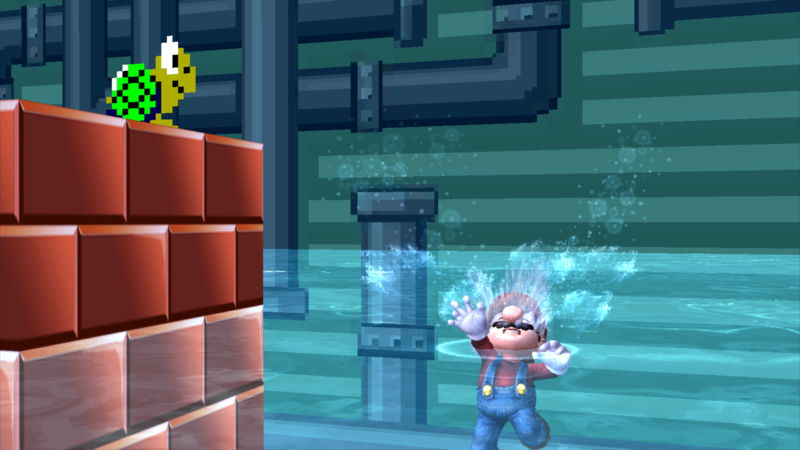 Includes a module to use over Mario Bros.
-Water can now be swam in, in addition to stretching the stage downward to prevent swimming exploits. 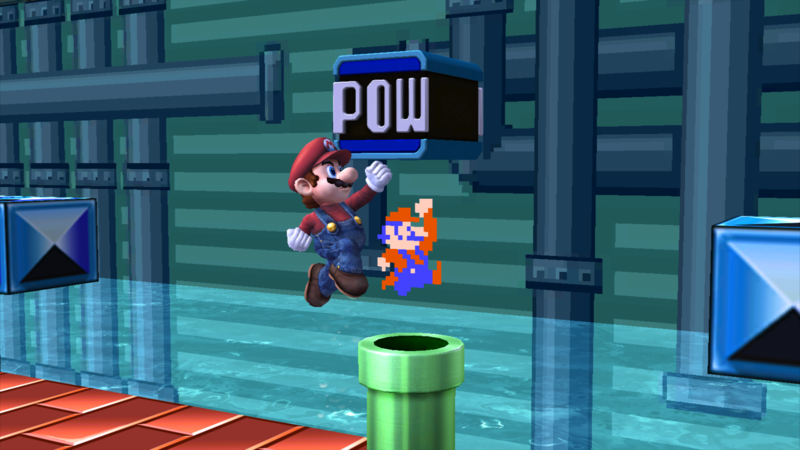 -Replaced the POW block with the one from SMFan's \"Mario Bros. proper\" submission (http://forums.kc-mm.com/Gallery/BrawlView.php?Number=209960), in addition to making it a background object, rather than a platform. 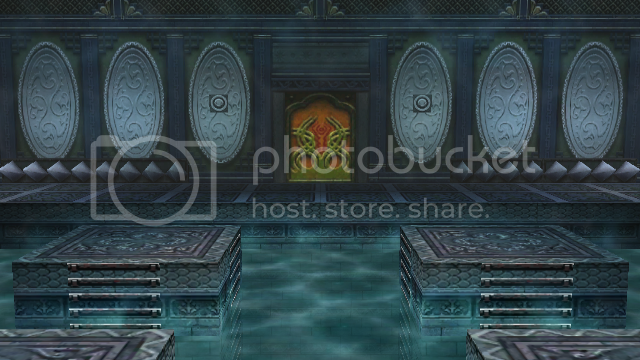 -Stretched the stage itself outward slightly, so the platforms hover over the stage, rather than hovering offstage. 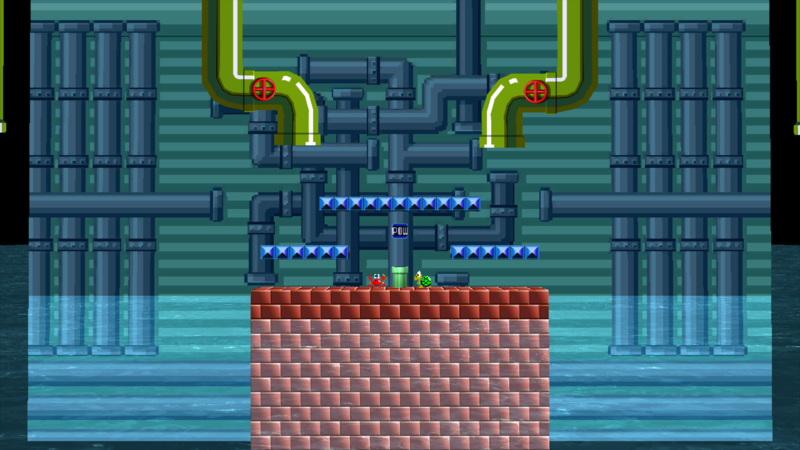 -Replaced the Warp Pipe with the one from Mario's Entry file. -Replaced the brick and pipe textures with the vanilla textures. -Applied Fighter shadows to the platforms and floor. -Darkened the overall stage lighting, alongside giving it a subtle blue hue. -Removed unused models and textures, in addition to modifying redundant materials. Everyone's favourite silhouette level is now in smash. Now Legal! Was designed to go over Jungle Japes. If you want this map over somethign else, please confirm that you are using the right ModelData. Music is included, but you also once again need to replace the proper song of the stage you want this to go over. The changes in this version is including a second map that has no platforms. It also has SooperCooler approved collisions which allows it to be fair in tournament play. 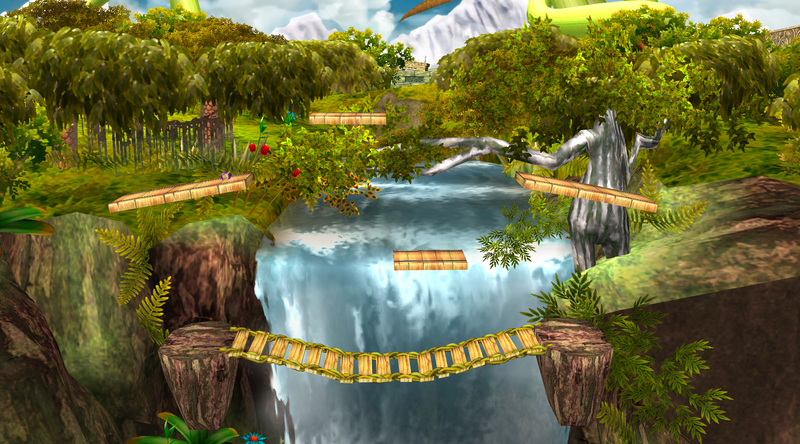 There is also a special Wii version that basically restores the scene data form jungle japes, the lights are brighter. The stage itself does not change though. 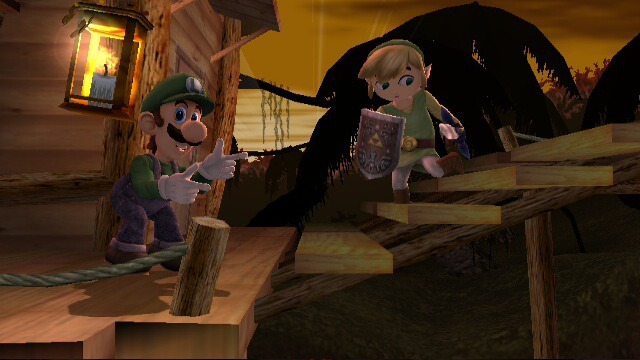 Lastly, the annoying bug that caused the sky to glitch out on Wii's has been fixed! hurray! Thanks to BraveDragonWolf for making that fix happen. Note: The Legaility of this stage can be supjective. The stage is not only flat, but has blastzones that are fair and proportionate. Its not a 1 to 1 however, so its fair and legal, but might not be tournament ready. The very nature of the dark stage might not even be good for tournaments. 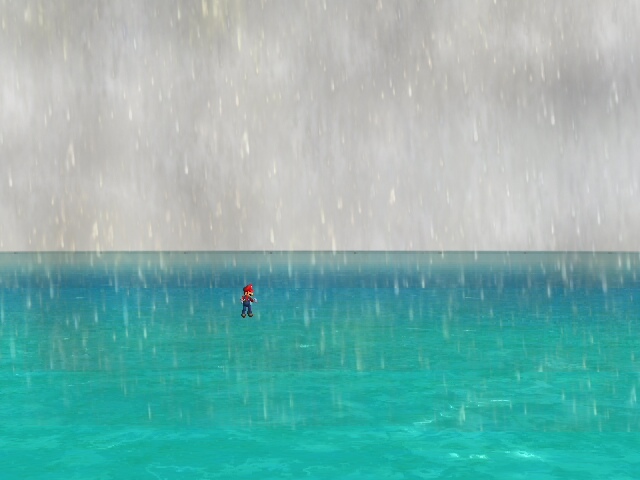 But it cant be any worse than Pokemon stadium. So give it a try, its fun and beautiful. Please report any further problems. Thanks to Theytah, whom' helped improve the sun texture and improved shaders that makes the level quite beautiful to look at, yet not eye straining. He also taught me about some animations, the sun and lighthouse moves now because of him. Thanks to Dranakar for making lights we see now, and subsequently Scout for polishing it out too. The one directional light makes the sun even more believable. Thanks to SooperCooler for giving tips and what not on how to make stages, he is also repsonsible for ironing out my collisions and blastzones, making them fair for competitive use. Thanks to HyperLink and Drazerg for general playtesting, making sure the stage isn't horrible and buggy. Thanks to TheCoolGuy for spenidng a few hours with me testing out how to fix the broken sky on the wii, because of him, I go tthis out sooner. Worsedonought deserve an honourable mention, but he remained busy through the time. 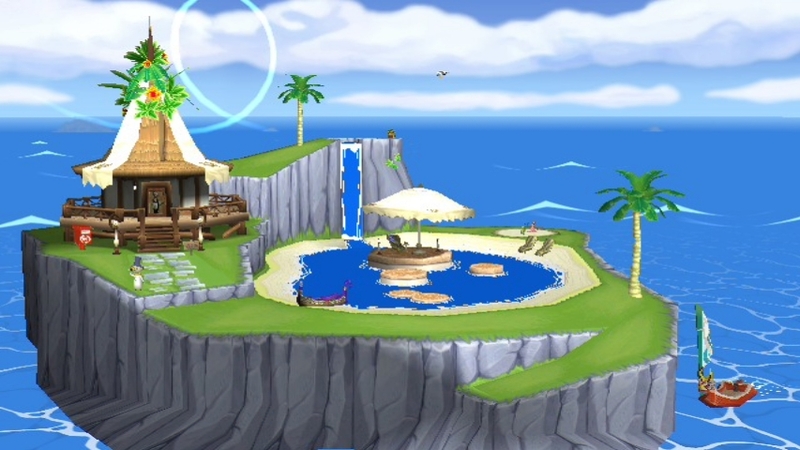 I remastered The Swimmable Ocean stage. Kongo Jungle Returns by Dranakar with credit to The old PMDT! For PM 3.6 only - Goes over Rumble falls. Always really liked the stage, but the main stage being 1 big platform and the graphics kept me from using it. Now that isn't really a problem! Credit to the old PMDT, and hope you in enjoy! Included in the download is both daylight and sunset versions! This was one of the most difficult stage edits I've ever done, due to the way in which color nodes are used on this stage, causing for some strange glitches when things are changed around. 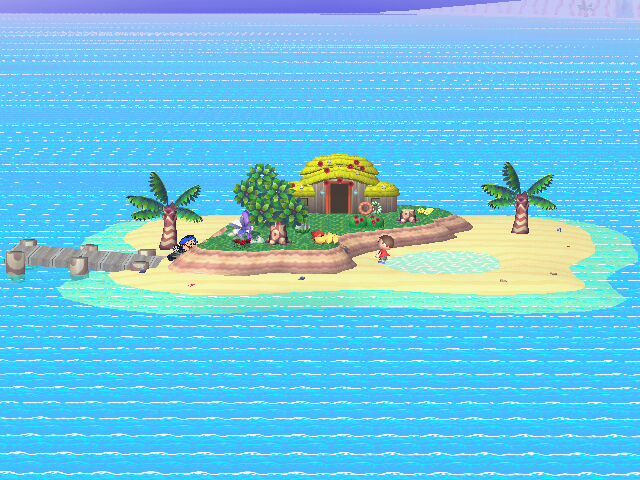 The stage is flat, the water doesn't affect you, the horizontal stage boundaries are evened out, and the klaptrap has been removed. 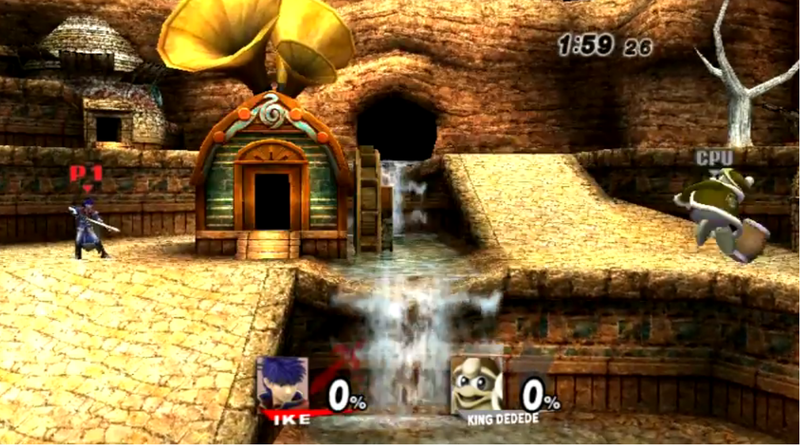 There are two versions, one with a ceiling under the stage, and one without it (much like Kongo Jungle 64). Goes over Jungle Japes with no .rel required. Credits Project M for the sky model, and BraveDragonWolf for visual edits. My first upload in 2015! Enjoy! Duplicated the steps and dragged them forward. You can pass through the main platform from below and the edges are still grabbable. I used Project M's version as a base, so the water doesn't do anything. Just can't wait a few more weeks for the full version of Smash 4 to come out? Then enjoy a little of it right now! Included - a Smashville and Jungle Japes version, and a song to accompany the stage. 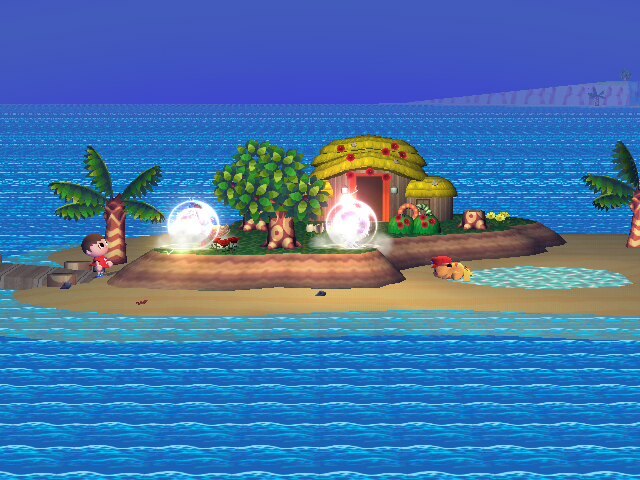 Smashville version has changing time but no swimmable water, were the Japes version is daytime only but swimmable water. 2/5/2015- Updated Icons, the stage was okay enough and no updates were needed. Requested. Use the .rel to place it over Jungle Japes. Otherwise it can also work for FD without it. 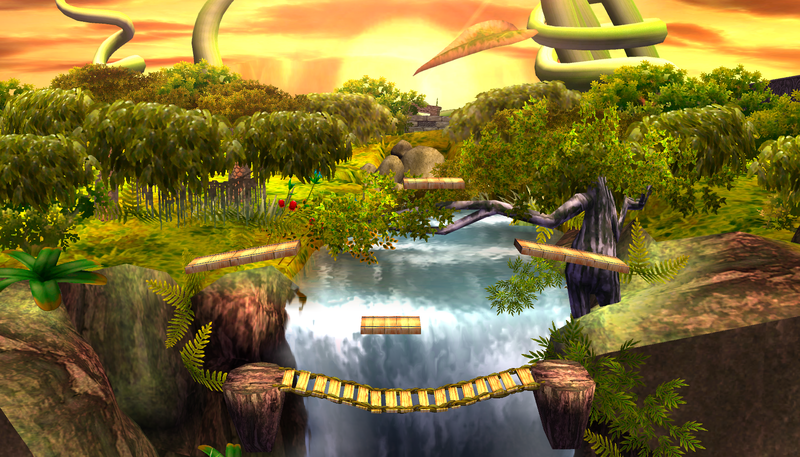 Used Legacy's original version of Jungle Hijinx and made it competitively balanced for project m.
The stage works over Jungle Japes (for swimmable water), Green Hill Zone (for non-swimmable water) or Final Destination (for no water). The difference between files is just the water rising or not. There's instructions inside the zip file to know better what to do with them. Here's a more competitive version of great bay! 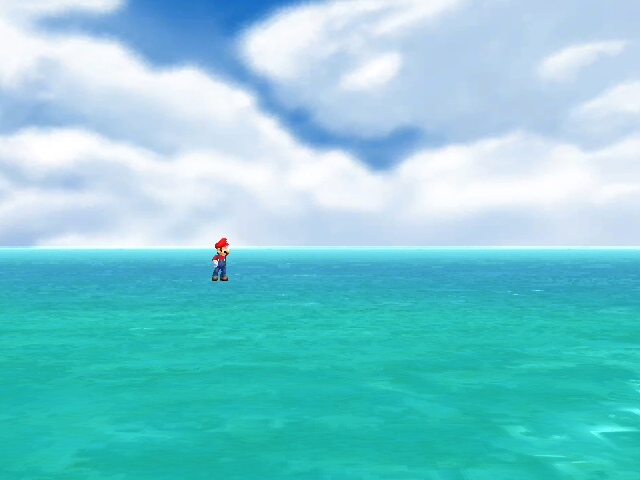 I moved the platforms all down to the water and centered the camera around them, the water is also swimmable too. Tingle and the turtle has been moved back as to not get in the way. There is now a non-swmmable version added! CPUs will still act weird though, fixing that now. 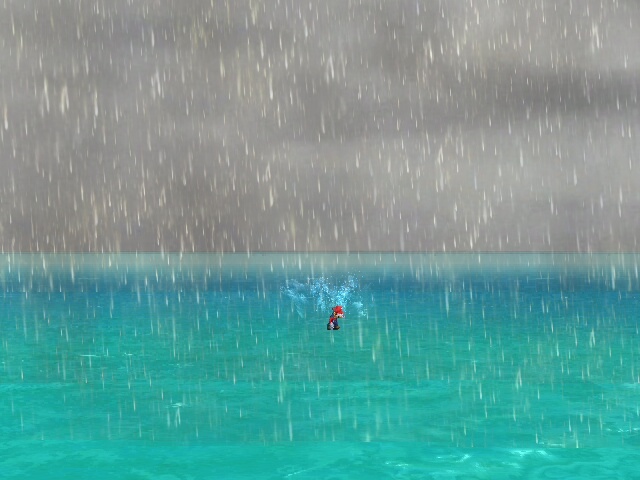 Please use the swimming version to swim.. dont get the files mixed up please..
updated the swimming version with fixed camera and death boundaries. 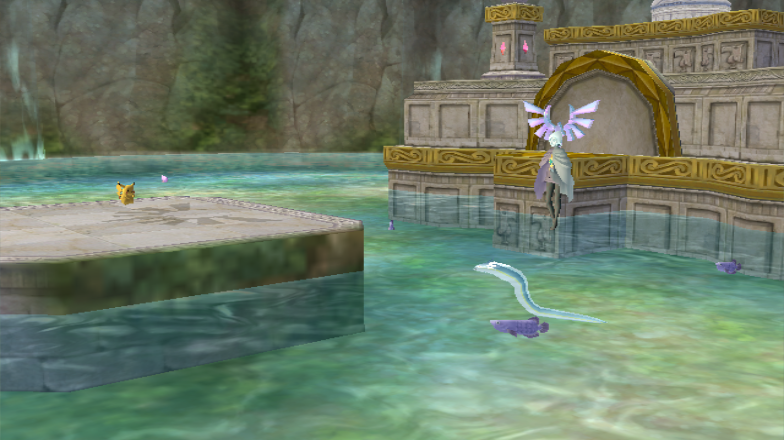 Skyview Spring is the first place where u get to see Fi dance on water, sadly, doing that in brawl would be too much of a distraction, so i removed her dance and used a Idle animation. Comes with none swimming and swimming version, SSS Icons, and multiple brstm's. Enjoy. Koneko-chan imported most of all the models in this stage. also, come check out our new Project Z website! Page created in 0.604 seconds with 136 queries.